No matching accessories were found. 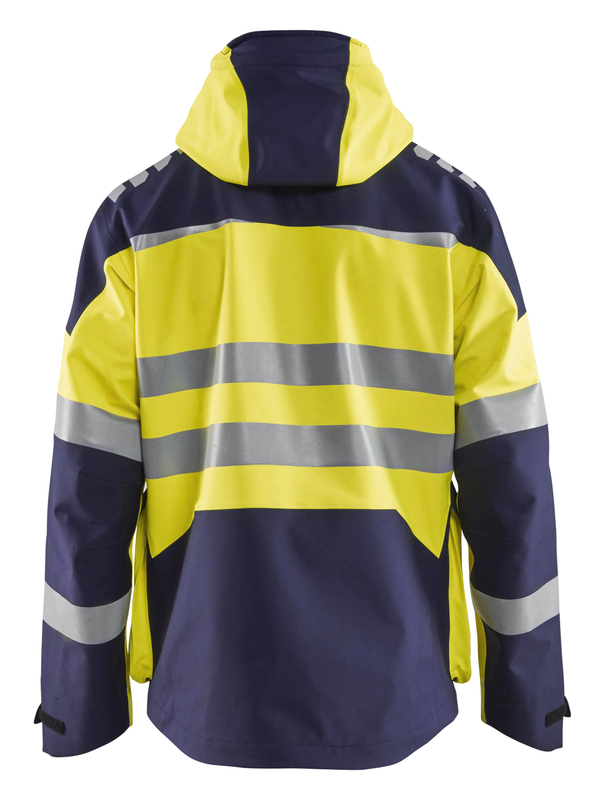 High vis shell jacket made of a high-quality windproof and waterproof fabric with excellent breathability. Ease of movement is enhanced by the flexible fabric and stretch panels on critical areas. The jacket’s two-way zipper and pre-bent sleeves ensure an optimal fit. The jacket features taped seams and is ideal for all-year wear, in colder weather with an extra fleece layer or with our insulation jacket. Adjustable and removable hood. 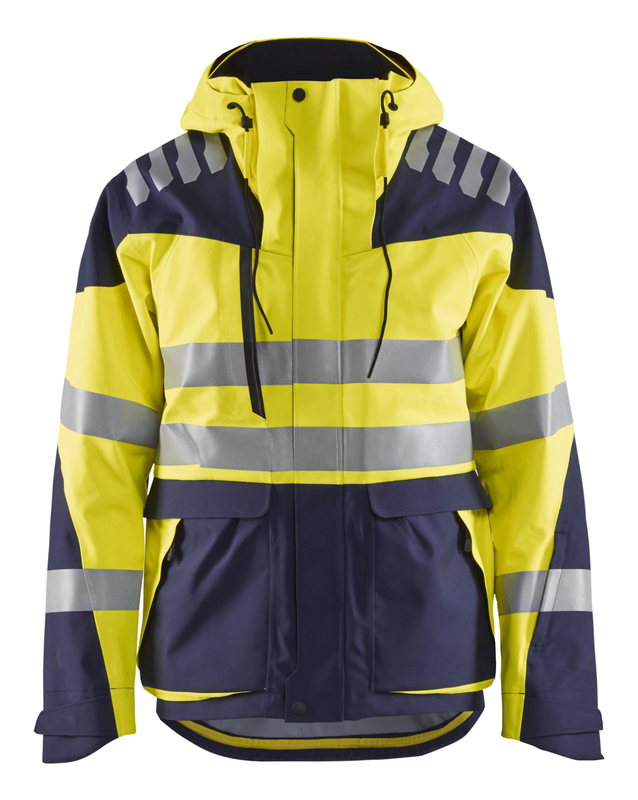 Breathability rating of 16,000 g/m²/24h and waterproof rating of 20,000 mm. Certified according to EN ISO 20471 Class 2, EN 343 Class 3.3. High quality, wind and waterproof material with stretch and very good breathability. The material is flexible but still strong. The material is Oeko-Tex® 100 certified. Connect order rows to a person and get them personally packaged.